Events – Welcome to the official home of the Mark Set Go Podcast! Welcome to the official home of the Mark Set Go Podcast! Together with our friends at the Tanker on SE Hawthorne in Portland we host monthly events celebrating all things WWE! Follow this space as well as our accounts on facebook, twitter, and instagram! The black and gold brand is back with yet another historic night that promises to be in the top 1% of PPV events this year! How will Aleister Black exact revenge on Johnny Gargano? Can the War Raiders finally beat the numbers game and defeat the Undisputed Era? You’ll have to be there to find out! As always there is NO COVER and all attendees will have the opportunity to join us for a game of NXT Bingo! Remember, this event is strictly 21+ so make plans for all of your little ones. See you there! Come one, come all for our favorite November tradition… Survivor Series! Be there when the superstars of RAW and SmackDown go head to head to prove once and for all who holds sway over the WWE Universe! As always there is NO COVER and all attendees will receive a raffle ticket and a chance to win an official door prize courtesy of the Mark Set Go Podcast! 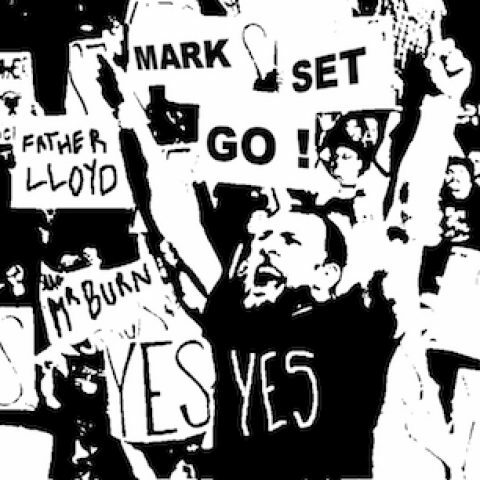 Get there early to snag a good seat and take your chances at the Mark Set Go Predictions titles! Remember, this event is strictly 21+ so make plans for your little A-Listers and Lass Kickers. See you there! Tanker is located at 4825 SE Hawthorne Blvd. in Portland. They are open everyday from 4 pm – 2:30 am. Alright friends, Father Lloyd is OUT on assignment which means The Mr Burn is joined in studio by the illustrious Steph Wrestling. A little bit of news and rumors while the Winners and Losers of the Superstar Shakeup are discussed in depth. Backlash is coming up in a couple weeks, and we hope to see you live at Tanker Bar! Alright friends, The Mr Burn is on a much deserved vacation so we decided to drop this special edition content for you, Live from Hawthorne Theater Lounge, the boys hosted some Wrestling Trivia for the Preshow at one of the recent live Portland Defy Shows! We will be back for the Wrestlemania Predictions show.. so Stay Tuned! Alright friends, Father Lloyd and The Mr Burn are joined in studio by our fearless leader Johnny Apollo. Fastlane Fallout, RAW and Smackdown winners and losers. Will Kofi Kingston survive the gauntlet next week? Thank you all who came to Fastlane, live at the Tanker Bar! We'll see you again soon at the show of shows.. Wrestlemania!